Our December 2016 Featured Instructor of the Month is Derrek Hofrichter of East Valley Krav Maga in Tempe, AZ! Derrek Hofrichter founded East Valley Krav Maga (EVKM) in 2011, which is located in Tempe, Arizona. As the Chief Instructor at EVKM he oversees a staff of 15 instructors and over 40 Krav Maga classes each week. In 2014, EVKM was named the Krav Maga Alliance school of the year. He began his Krav Maga training in 2002 in Washington, DC, where he fell in love with Krav Maga from his very first class. His first instructor certification was in 2005, and since then has completed many certification courses and currently is a 2nd Degree Black Belt under Krav Maga Alliance founder John Whitman. 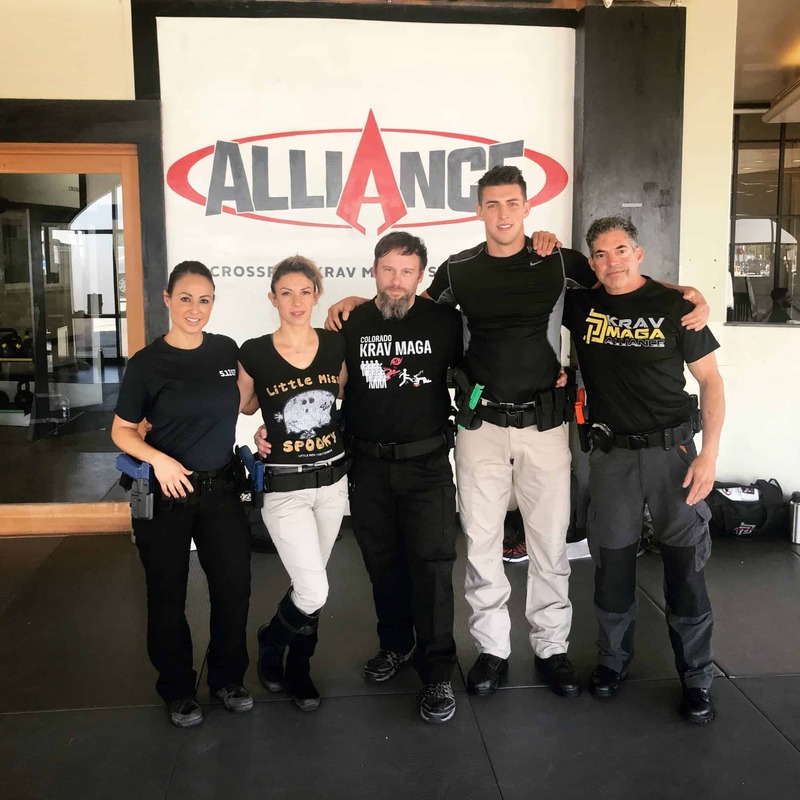 He is also a member of the Krav Maga Alliance Training Team and has traveled to Israel twice for training, most recently earning a Senior Krav Maga Instructor diploma from the Wingate Institute in Netanya, Israel. In addition to his Krav Maga instruction, Derrek enjoys motivational speaking and frequently speaks at events and to groups, corporations and non-profits about the power of attitude by combining self-defense, Krav Maga, and motivational philosophy. Derrek is also often asked to appear on TV and other media outlets in the Phoenix, Arizona market to share his message of self defense and Krav Maga.